Citroën C3 Aircross Performance, Engine, Ride, Handling | What Car? All petrol-powered models have a 1.2-litre engine although you can choose between three power outputs. The entry-level 82 version is best avoided; it doesn’t have a turbocharger so is decidedly sluggish at low revs and needs working really hard in hilly areas or on faster roads. The Puretech 110 (108bhp) is punchier, particularly at low revs, although acceleration still isn’t a match for equivalent rivals, such as the Seat Arona 1.0 TSI 115. In fact, even the range-topping 1.2 Puretech 130 can’t keep up with the Arona, although performance is perfectly adequate and you get a sixth gear for more relaxed motorway cruising. The diesels don’t make much sense at all. 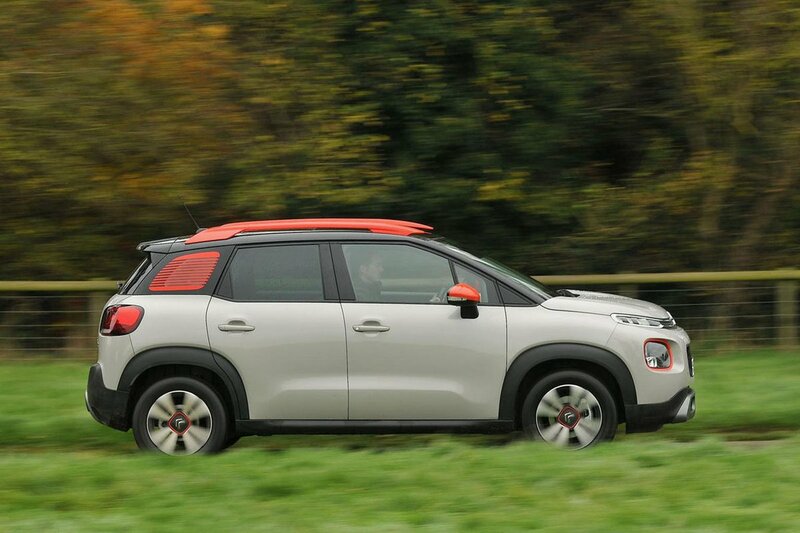 Yes, you’ll spend less at the pumps, but the C3 Aircross isn’t comfortable enough to do the miles you’d need to do to break even. Besides, CO2 emissions aren’t that much better than those of the petrols. The softly sprung C3 Aircross initially fools you into thinking it’ll prove a comfortable companion but, above 30mph, you become acutely aware of your torso bobbing up and down and your head tossing from side to side. Hit a pothole and there’s a violent crash as the suspension struggles to cope. Put simply, it doesn’t ride very well at all. Rivals such as the Arona are far more comfortable and composed in all situations. 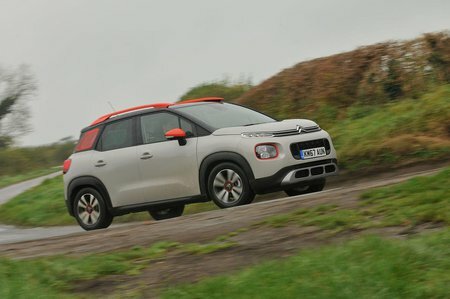 The C3 Aircross leans more dramatically than most of its rivals through bends and feels less stable and composed along bucking and bounding country roads. The remote steering doesn’t help, because it makes it tricky to trust that the front wheels are going where you’re trying to point them. If you want to have any fun behind the wheel, the Arona and Kia Stonic are much more nimble; lower-riding hatchbacks such as the Ford Fiesta and Seat Ibiza are better again. 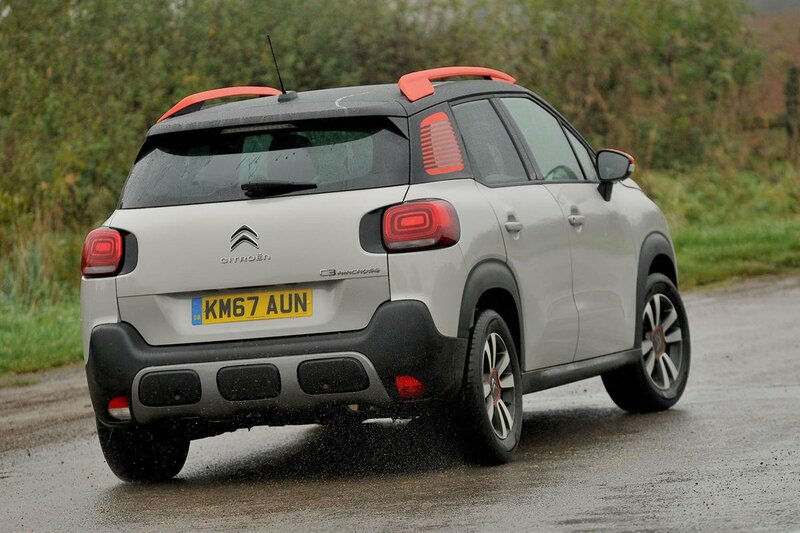 On the plus side, the C3 Aircross is easy to park and manoeuvre at low speeds. A nasty cocktail of a heavy, numb clutch pedal, a light accelerator and a woefully vague gearshift means driving smoothly at low speeds requires the sort of concentration you’d need to thread a needle. Changing gear and pulling away is so much easier and more instinctive in the Arona. More positively, the C3 Aircross’s 1.2-litre petrol engines are reasonable hushed and you don’t feel too many vibrations filtering up through the soles of the shoes. Road noise is also well isolated, although there is a fair amount of wind whistle on the motorway.